Friday night has a new home! 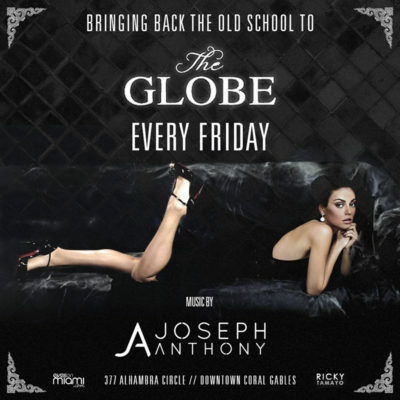 Join us in gables at The Globe, bringing back the old school with music by DJ Joseph Anthony. Party starts at 8 pm. Complimentary admission for everyone. $200 Bottle specials available. Contact us at 305.299.4110 for large parties, dinner RSVP’s, birthdays and bottle specials.